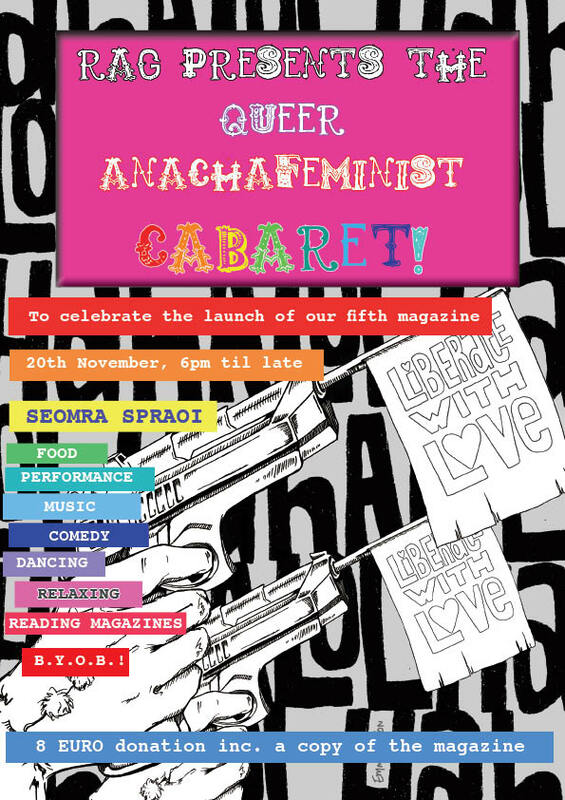 Rag celebrates the launch of our 5th annual magazine with a Queer Anarchafeminist Cabaret. Food, feminists reading magazines, dancing, music fun fun fun fun. â‚¬8 donation including a copy of the magazine. GONNA BE THE BEST RAG LAUNCH YET! 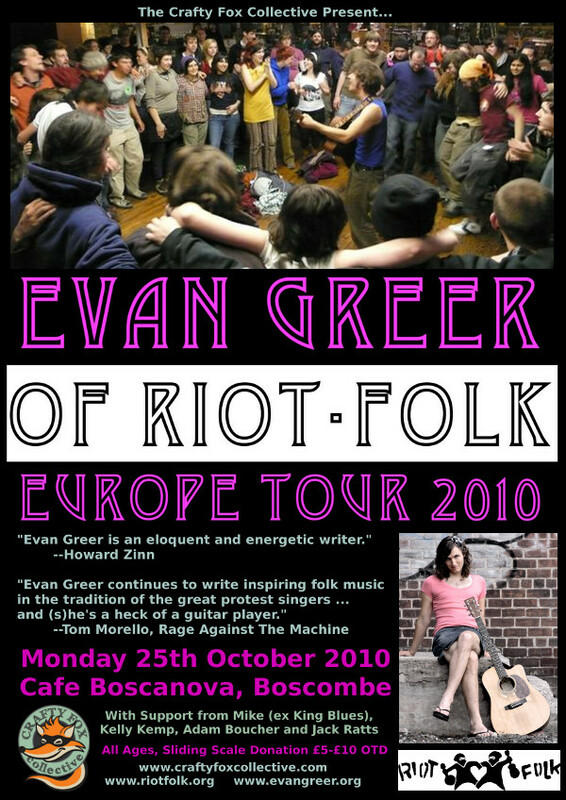 Food, drink, performances, laughing, dancing, music, magazines and anarchy! Hands Off the People of Iran will hold an information meeting and a screening of â€˜Offsideâ€™ in Seomra Spraoi on Thursday 11th November at 7:15 pm. 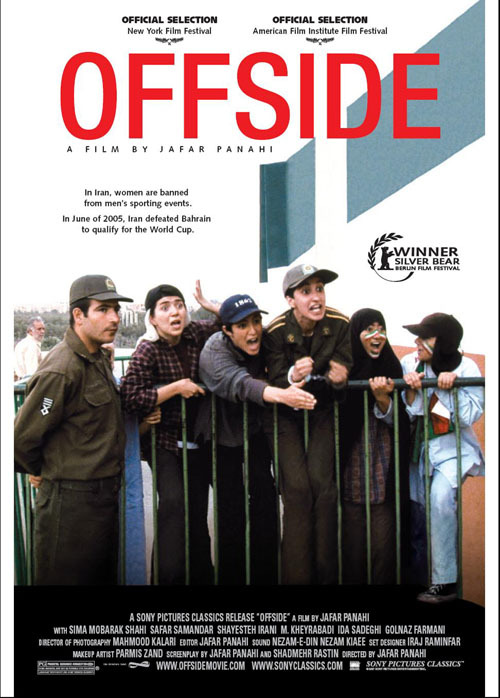 The film tells the story of soccer mad Iranian girls who dress up as boys so that they can go to the world cup qualifying match in Tehran. Women are banned from attending all sporting events in Iran and face arrest and imprisonment if caught. The production is both a serious examination of the level of repression and a light-hearted look at the ridiculous lengths the Islamic regime is prepared to go in order to keep control. Work to oppose the threat of any imperialist intervention, war or sanctions against Iran. Seek to build active, practical solidarity with grass-roots radical secular forces in Iran, the militant women’s, workers and students movements. We fight for regime change, both in Iran and in the imperialist countries. But we know that change must come from below â€” from the struggles of the working class and social movements â€” if it is to lead to genuine liberation. No to imperialist war! For the immediate and unconditional withdrawal of US/UK troops from Iraq and the entire Gulf region! Opposition to Israeli expansionism and aggression! Support for socialism, democracy and workers’ control in Iran! For a nuclear-free Middle East as a step towards a nuclear-free world! 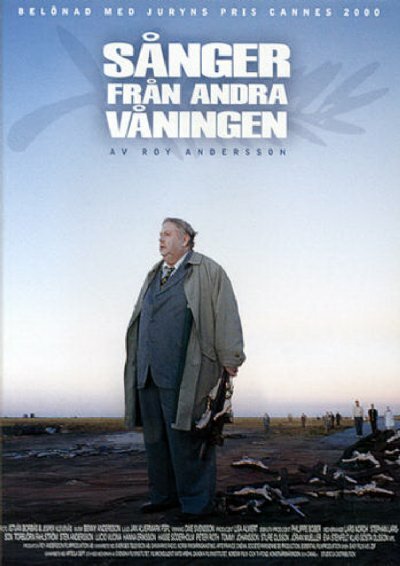 Children Underground (2001) is a documentary film directed by Edet Belzberg. Homeless children are the casualties of Romania’s recent history. In an effort to increase the nation’s work force, former communist leader Nicolae Ceausescu outlawed contraception and abortion in 1966. Thousands of unwanted children were placed in state orphanages, where they faced terrible conditions. With the fall of Communism, many children moved onto the streets. Some were from the orphanages. Others were runways from impoverished families. Today there are 20,000 children living on the streets. The resources for sheltering these homeless youths are severely limited.